No new snow, spring conditions. ​Trails groomed: Rendezvous, Biathlon Range, Deja View, Drewski, Jerry's and the Doodle. Looks to be quite nice skiing. Trails groomed: Rendezvous, Deja View, Drewski, Jerry's, and the Doodle. ​Spring conditions, skate and classic. Wet spring conditions, granular and fast depending on the time of day. Groomed the inner part of Rendezvous, Drewski, Biathlon Green up Sheppard's and back to town. Lots of corduroy left to ski. before it gets too soft. No new snow, but lots still left. ​Trails groomed: Rendezvous, Deja View, Drewski, Jerry's, the Doodle and Biathlon Range. Spring conditions. Trails groomed: Deja View, Biathlon Range, Rendezvous, Drewski, Jerry's and the Doodle. Looks like fast, fun spring cross country skiing. No new snow, cloudy 31 F.
​Trails groomed: Rendezvous, Washburn, Deja View, Drewski, Spencer's, Jerry's, the Doodle and Biathlon Range. Machine groomed spring snow, skate and classic. No new snow. Snow is transitioning to spring conditions. Trails groomed: Rendezvous, Windy Ridge. Machine groomed, skate and classic. Trails groomed last night: Volunteer, Jerry's, Dead Dog, the Doodle. No new snow in the last few days, so all trails but Windy are currently groomed. Fast, firm, machine groomed powder. No new snow, overcast skies. ​Trails groomed: Rendezvous and Deja View. Machine groomed powder, skate and classic. ​partly cloudy and 2 F. Trails groomed: Rendezvous, Deja View, Dead Dog, Biathlon Range, Volunteer, Jerry's, the doodle, Tele Hill, Sheppard's, 22 short, both sprint loops, Drewski and the kid's loops. Machine groomed powder, skate and classic. Looks to be very nice skiing today if you like corduroy. 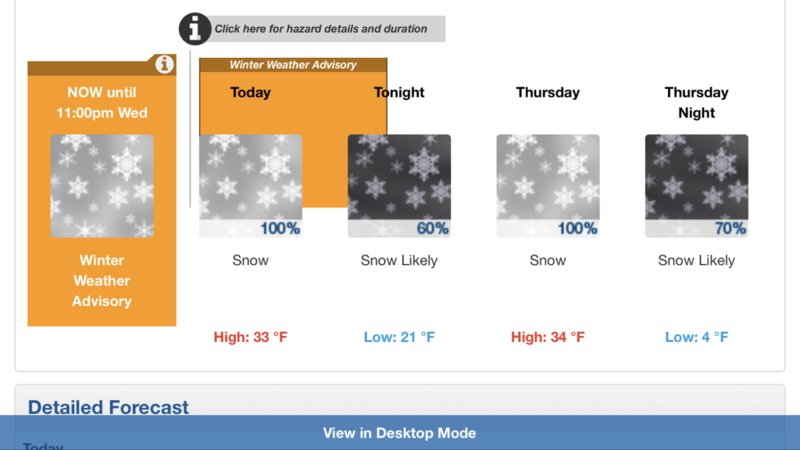 Cloudy with snow showers, three to four inches of new snow and 18F. ​Rendezvous, Dead Dog, Deja View, Biathlon Range, Volunteer, Jerry's, the Doodle, Tele Hill, .22 short and the kid's loops. Machine groomed powder, skate and classic. Some new snow overnight, overcast & 27 F. Trails groomed: Rendezvous, Deja View, Biathlon Range, Volunteer, Jerry's, the Doodle and the Kid's loops. Machine groomed powder, skate and classic. Warm, 32 F and some new snow with snow showers. Trails groomed: Rendezvous, Long sprint loop, Biathlon Range, Volunteer, Wax test/terrain park, kid's loops and the big kid's hill. Machine groomed, skate and classic. ​Rendezvous, Deja View, Jerry's, the Doodle, Sheppard's, Tele Hill and the kid's loops. No new snow, cold, minus 2 F. Everything but Sheppard's was groomed, including Tele hill and the kid's loop and hill. Machine groomed powder, skate and classic. Great skiing today! A few inches of overnight snow, clear skies and 6F. Trails groomed: Rendezvous race course, including Rendezvous, Windy Ridge, Deja View, also Washburn and the kid's loops. Machine groomed powder, skate and classic. Some new snow, very warm, 32 F. Trails groomed: Rendezvous, Windy Ridge, Deja View, Drewski, Spencers, Jerry's, the Doodle, Tele Hill, wax test/playpen, kid's loops and kid's hill. Skiing looks good considering all the new snow, skate and classic. Snow, Snow Likely, Snow, Snow Likely. Guess we are going to get more snow. An unknown, but substantial amount of new snow last night, extensively distributed by strong winds. Warm, 31 F, and light snow falling with gusty winds. Everything was groomed this morning, including Windy Ridge. Skate and classic, and fairly fast snow with the warmer temps. Ten inches of new snow and still snowing, strong winds and 29F. Everything was groomed this morning including very windy Windy Ridge. Machine groomed powder, skate and classic rapidly disappearing. Four inches of new dry powder this mornig, 16 F and steady snow falling. Everything but Volunteer is groomed this morning including Windy Ridge. Machine groomed powder, skate and classic. Winter wonderland this morning. Trace of new snow, clear and -12F. Trails groomed: Rendezvous, Windy Ridge, most of Dead Dog, Deja View, Volunteer, Jerry's, the Doodle, and the kid's loops. Machine groomed powder, skate and classic. Smoothing out and getting firm, should be nice skiing today. Trace of new snow, 5F and cloudy. Tonight groomed the Rendezvous race course, which includes all of Rendezvous, Windy Ridge and Deja View, Most of Dead Dog and the long Sprint loop. Single classic and skate lane.